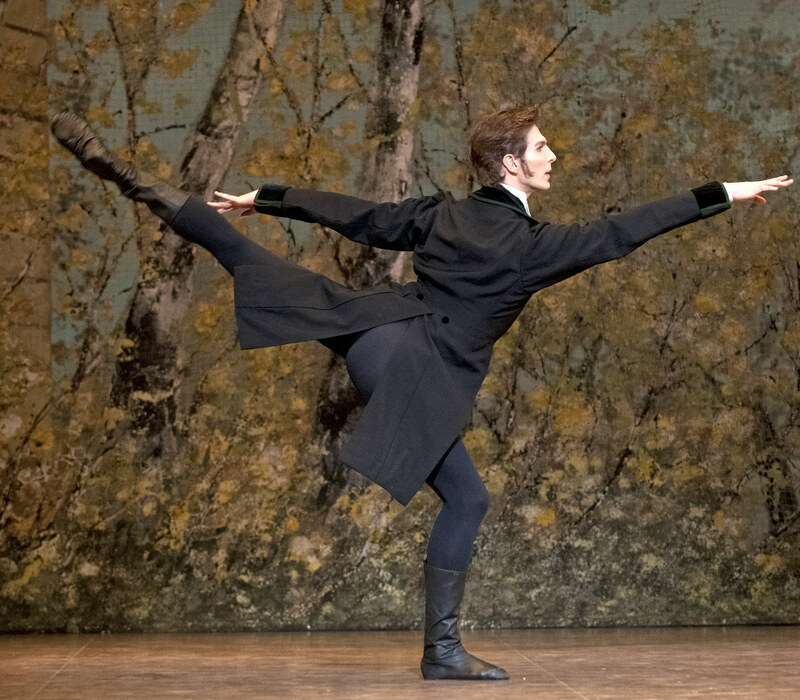 Onegin is not like Romeo or the young lovers from other stories; as Onegin, you have to use some of the uglier conflicts that live inside you and also totally transform into someone else (who isn't particularly gentle). After learning it from the experts in the house that Cranko (re)built at Stuttgart Ballet, I've danced it around the world in the most extravagant theaters. Each time, this role brings me back to the idea of using dance to tell a story—and make sense of my own. I think we've all been through what my late ballet teacher from Canada's National Ballet School, Glenn Gilmour, called "stuff of substance" in our private lives. Gilmour helped me put that into my dancing by constantly reminding me to use it as fuel for more physical expression. Over the last decade, just as I was starting to feel my career build, I went through a sudden divorce, I witnessed crippling illnesses of family and friends, as well as a loved one's life-threatening addiction. I had trouble finding methods to balance all that I wanted to give my career with the many ways I needed to be present in my private life. It was during this time that I learned that there are deeper benefits that come with performing a range of poignant roles that go beyond just "enjoying" them. 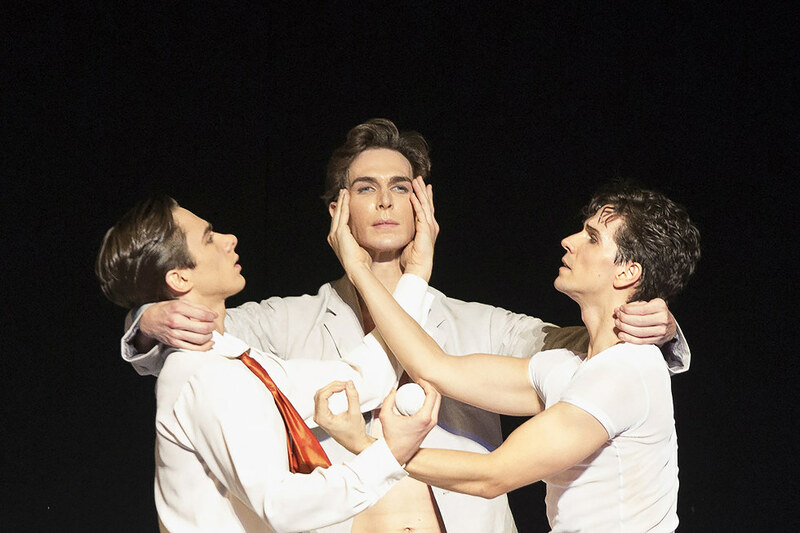 In particular, I find that John Neumeier's choreography makes me want to look deeper into who I am. I have worked with him on Othello, Lady of the Camellias, A Streetcar Named Desire, Nijinsky and Fratres. While embodying roles in these ballets I have found myself at my shyest, my most evil, my most taken advantage of, my most conflicted, my most powerless and my most powerful. By listening to Neumeier's guidance and trying to simply "be" each part without any embellishment, I can be introspective. After each show I feel like I've been on a journey. But it's not only Neumeier's and Cranko's ballets that teach me about myself. I've found that during Christopher Wheeldon's The Winter's Tale, I can't leave any inch of my body unavailable when dancing Leontes. This character believes so much in idealized versions of love and friendship that he drives himself mad with visions of everything he's afraid of, like infidelity and deception. Though I don't consider myself to be a jealous person, I can't say that I haven't been a victim of similar idealism in my own life. Physicalizing it for Wheeldon accelerated a kind of humbling acceptance for me because I can actually feel these emotions come alive and identify them instead of having them just floating around in my head. Then there's Alexei Ratmansky's Romeo and Juliet. The title characters get to know each other through oscillations and dizzying loops around each other in each duet. 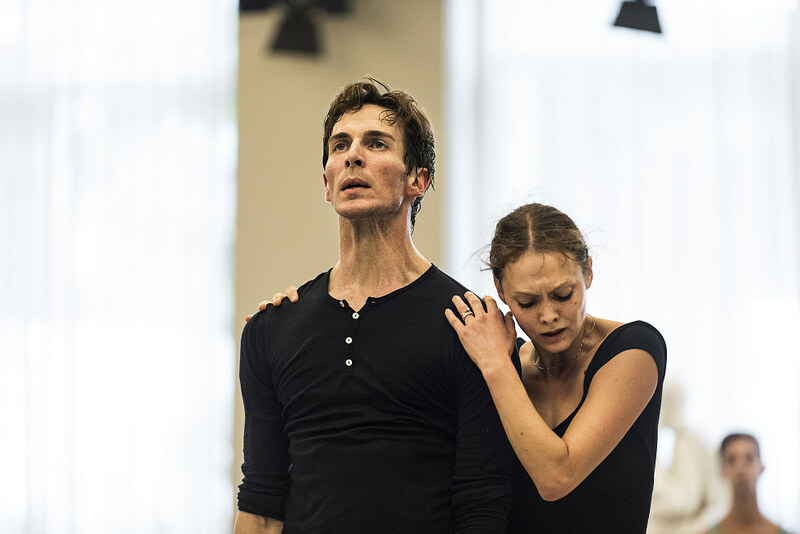 I adore this about his choreography, and I am especially aware of the contrast between Ratmansky's use of extreme weight and weightlessness, too, because this is how I personally feel when I am in the early stages of love (or lovesickness). His choreography physicalizes the human response to being swept up in love. As much as it can turn us upside down, an inner vortex of psychological chaos is perhaps the most commonly shared experience that many have during young love. Some people I've talked to believe this type of "all-in" acting can be risky psychologically because the brain may actually be thinking it's feeling the emotions of each role. These feelings affect the body—and some of us want them to as dancers, so we can fully embody these characters when it counts. But, over time, we also learn to regulate these emotions' effects on our bodies in order to properly execute extraordinary physical tasks. Wayne McGregor was the first choreographer who made me think about what is happening in my brain while I'm dancing. He encourages discussion about it through his work. Now, I meet regularly with a neuroscientist to map my brain on different kinds of dance and analyze what is going on during each task. I ask, What is actually happening to our brains and bodies when we find ourselves living inside other characters with total abandon while trying desperately to be as physically precise as the very best surgeons? What I know is that dance has made me aware of both emotional and physical empathy. I never fathomed that playing such a wide array of parts in ballet would be a kind of unexpected "cognitive behavioral therapy" that would change patterns in my relation to the real world by forcing me to constantly reevaluate myself and update my perceptions. Dance can bring me great joy, but it also shocks me when I let go of fear and I'm faced with the work required to live my own truth and understand the truth in others. But perhaps that is what art is.